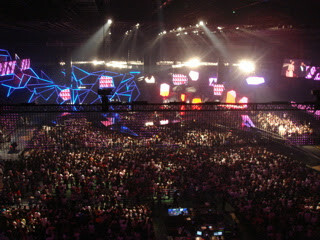 Last Friday, I went to "MTV VIDEO MUSIC AWARDS JAPAN 2007" which took place at Saitama Super Arena where 50,000 people can get in. my recommendation out of the permormers there is DJ OZMA (centre in the photo bellow. 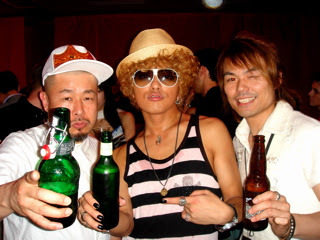 after performance) From Americanized young Japanese point of view, his "the Japanese" performance looked very fresh.